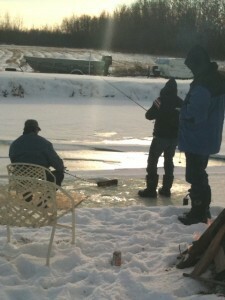 Ice Fishing for Rainbows on Grey Cup Sunday! 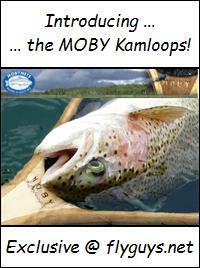 You are Here: Home >> Blog Posts >> Fishing Reports >> Grey Cup Rainbows! For me I know when my life gets busy when I don’t get out fishing for a couple of weeks. Well things are downright hectic! With a week of training in Maple Ridge, a hockey tournament in Chetwyn then the next week off to the Grey Cup in Edmonton my dog was starting to give me the evil eye. Then out of the blue when I least expect it.. Wham I’m fishing. ice fishing, football & beer ... what more could we ask for! 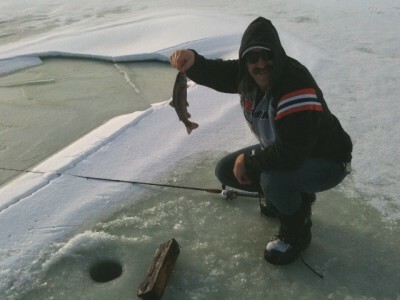 ... ice fishing for rainbows on grey cup Sunday! The body of water was on my buddy Bill’s acreage in Nisku Alberta just south of Edmonton. His fish pond! A bunch of buddies had converged on his place for the Grey Cup and after a Caesar fueled breakfast Sat. morning we wandered down to the pond. I knew he had lost all his fish last winter with low water levels and his compressor shutting down while he was out of town. Now as I try to remember the story (blame Caesars) someone …maybe a hatchery…had some fish and was looking for somewhere to dump them. Enter Bill’s pond. I don’t think he was even home they just came by and unloaded. So here we are on a sunny crisp Sat. morning down to do some exploratory fishin’. This is where things get kinda hazy (did I mention it was Grey Cup weekend?) but the basic stats were 10 fish and 4 boxes of beer. Biggest fish was around 3 lbs which surprised us all. We never made it downtown for any of the festivities but we all agreed that sitting around a fire down by the pond was more enjoyable. At this point on behalf of FlyGuys Northern Division I’d like to wish all the friends and family of FlyGuys a Joyous safe holidays and tight lines in 2011. 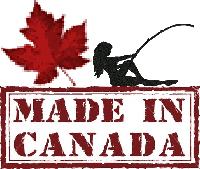 Fly fishing the great white north! I mainly fish the lakes, rivers and streams of North Eastern B.C. 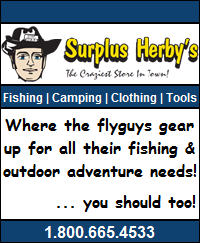 for Rainbows, Lakers, Brookies, Bulltrout and Grayling. This entry was posted in Fishing Reports and tagged Alberta Ice Fishing, Fishing, Ice Fishing. Bookmark the permalink. One Response to Grey Cup Rainbows!